You know as well as we do that those pirates are all about their “booty.” But did you know there is something that pirates admire as much as a treasure chest full o’ gold coins, rubies, and emeralds...there is, we swear! Pirates really value hard work and courage just as much as loot! OK, so maybe not just as much, but nearly as much. They really do! Being a pirate is hard work and requires long hours and a lot of teamwork. The seas can be treacherous and the conditions aboard the ship, equally so. 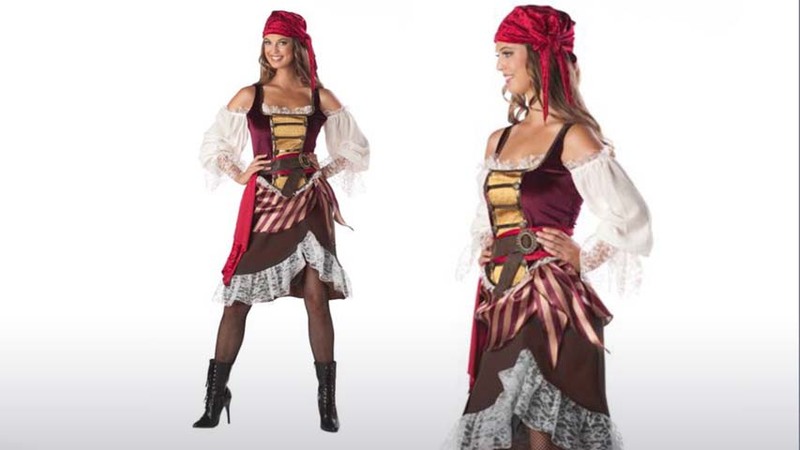 Show your crew that you have the heart, grit, and determination it takes to sail and plunder the isles in this Deckhand Darlin’ Pirate Costume--a must for any hard working seafarer, such as yourself! Even if you aren’t feeling 100% like a go-getter today, this costume has got you covered; your captain won’t even be able to tell you’re dialing it in for a day. That’s because the beauty of this ensemble is that it looks like a lot more work than it really is--see, the one-piece dress is styled to look like you went through the trouble of putting on a vest, skirt, and an off-the-shoulder peasant blouse. 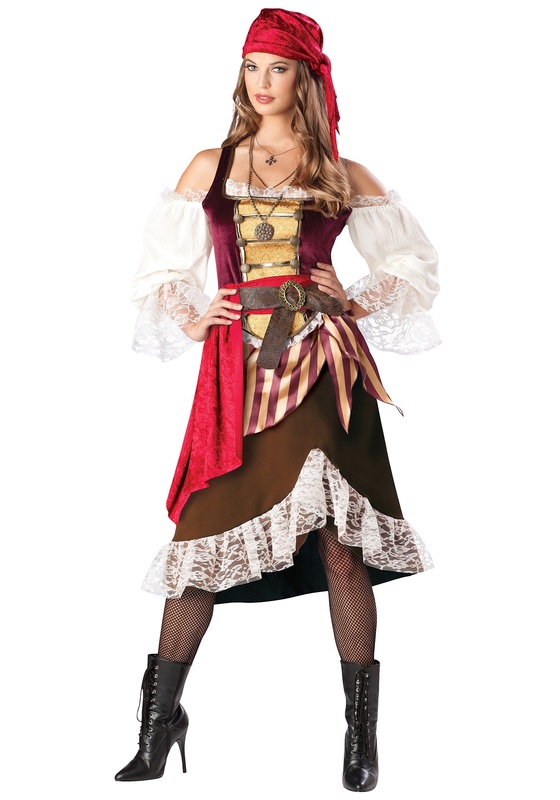 You can also tie the luxe velvet head scarf and the waist sash as you desire, to create a bunch of variations on your pirate style. Because when the day comes that you do happen upon the buried treasure you've been searching for, you want to look the part, don't you?